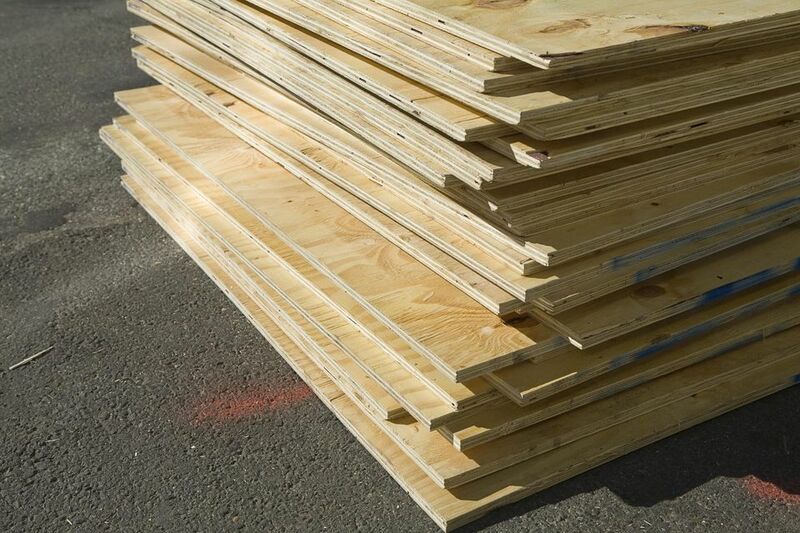 Marine-grade plywood, often simply called marine plywood, is not what it's often claimed to be. That is, it's not waterproof. Since it's not treated with chemicals it is not rot resistant. However, it is a good-quality, hardwood plywood made with waterproof glue. Better grades also tend to be lightweight, strong, and virtually free of defects. These qualities are what make this plywood a popular choice for building boats and boat parts. It's also a smart option for durable outdoor furniture projects in coastal areas, especially after it receives a strong protective finish. Wood species that have a natural resistance to decay, like redwood, cedar, ipe, shorea, and cypress, have a natural resistance to decay. Marine plywood is not pressure-treated to resist decay, like pressure-treated lumber and plywood. This means if marine plywood will be exposed to moisture, it must be protected by a good water-resistant finish. If you need a material that can stand up to moisture without a protective finish, choose pressure-treated lumber or plywood rated for the expected level of exposure. Thin sheets of wood veneer--known as plies (plural of ply)--are used to make plywood. Arranging the sheets in perpendicular layers is what strengthens the plywood. According to APA, each piece of plywood has an odd number of layers. Cross-lamination--arranging the plies perpendicular to one another--is what gives a panel strength in both directions. To finish it, the plywood panel is bonded under heat and pressure. The main benefit of using waterproof glue in marine plywood is that if the plywood is exposed to moisture, or even very high humidity or boiling temperatures, the glue won't fail, and therefore the wood layers of the plywood won't delaminate, or fall apart. This is an important design characteristic if you're building a boat hull with plywood. If the hull's protective finish is damaged and the wood gets wet, the plywood will remain structurally intact. A waterproof adhesive was invented in 1934, paving the way for plywood and its potential. Boats and barracks during World War II were made out of plywood. In the postwar building boom, plywood was used to build houses and cities across the United States. By 1954, the industry grew to more than 100 mills and production approached 4 billion square feet, according to the APA. Even though the plywood products sold by most hardware stores are graded A, B. C. and D (with A being the best), they aren't considered as high quality as marine and other types of quality hardwood plywood. Standard plywood is made with fewer, thicker layers and mostly contains softwood, like pine or Douglas fir. The interior layers also have voids, or holes, that you can't see until you cut into the plywood panel. Marine plywood is a type of hardwood plywood. True hardwood plywood is made with thin layers of 100 percent hardwood, which generally is stronger and harder and has a finer grain than softwood. Plywood sold as "void-free" does not have voids hidden in the wood layers. As for the layers, a lot of thin layers is better than fewer thicker layers because thinner results in a stronger, denser panel with edges that cut and sand cleaner. What's So Unique About Ipe Wood? Why Should I Buy FSC Certified Wooden Furniture?